Our Granulated Sweetener (also known as Sweet Agave Powder or Agave Nectar Powder) is a dehydrated variety of agave syrup. To create our agave granulated sweetener, agave syrup is spray-dried until all moisture is removed. Sisana has developed this granulated sweeteners because the market is accustomed to sweeteners coming in powder form. Many food producers require sweeteners in powder to preserve stronger textures or specific product features. This cannot always be achieved with liquid sweeteners. 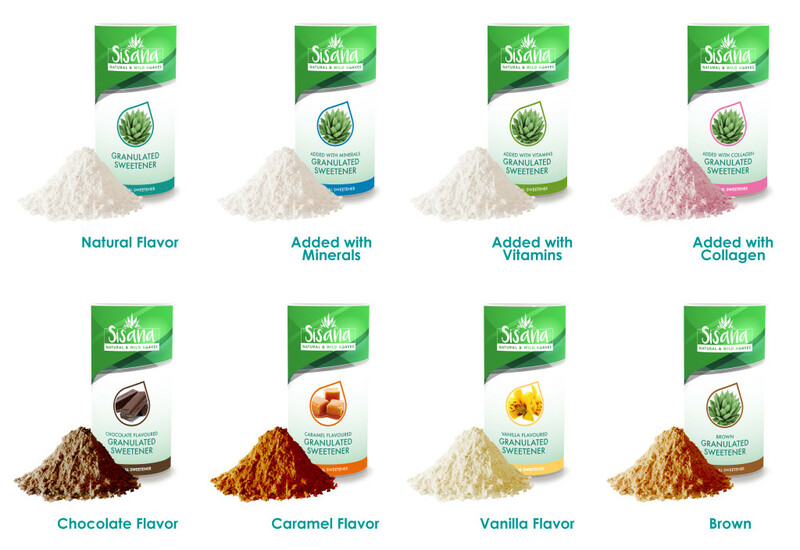 At Sisana, we offer agave sweet powder in four types: Added with Minerals, Added with Vitamins, Added with Collagen and Brown, as well as in four different consumer favored flavors: Natural, Caramel, Vanilla and Chocolate flavors. 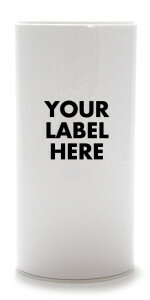 Order natural agave sweet powder from us and sell it with your brand name on it. 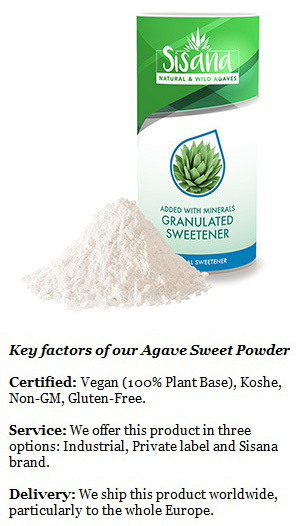 Agave Sweet Powder has the similar function benefits as agave syrups. It is an ideal option for applying in deserts and confectionery foods, such as pen-cakes. Our Granulated Sweetener has the same benefits as agave syrup. It’s approximately 40% sweeter than regular sugar, has a low glycemic index and dissolves easily. In industrial recipes sweet agave powder is used in the production of hard texture confectionery, hard texture baked goods and anything else that specifically requires a powder sweetener. For end consumer use agave sweet powder is great for regular baking, to sprinkle on pancakes or to replace sugar in any recipe. 1. How to use agave in place of sugar? For every cup of white sugar that will be replaced, substitute with 2/3 cup of agave sugar. More information on how to substitute agave for different sugars can be found here. 2. Can you substitute agave for brown sugar? You can substitute agave for brown sugar. Since the moisture level of brown sugar is higher than white sugar, you may not need to reduce the amount of liquids used when adding agave sugar. 3. Is agave sugar gluten free? Yes, agave sugar is generally gluten free and can be safe to consume for those intolerant to gluten. 4. Is agave sugar safe for diabetics? Agave sugar has a lower glycemic index than traditional sugar and is therefore broken down and released into the blood stream more slowly. However, we recommend you consult your doctor before consuming this product.